Carnauba wax (Copernicia cerifera (carnauba) wax) comes from the leaves of the Copernicia cerifera palm (also know as 'The Tree of Life') which grows only in Brazil in the northeastern Brazilian states of Piauí, Ceará, Maranhão, Bahia, and Rio Grande do Norte. It is sometimes called Brazil Wax or Palm Wax. The Food and Drug Administration (FDA) includes carnauba wax in its list of substances considered 'Generally Recognized as Safe' (GRAS) for direct addition to food. It is also PCPC listed (Personal Care products Council). Although it is part of the emulsifying system, its primary function is to significantly increase water resistance, thus enabling the avoidance of synthetic polymers used in most sunscreens for which water resistance is claimed. 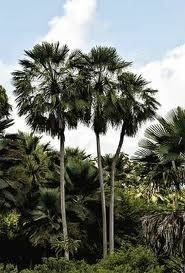 Copernicia Cerifera (Carnauba) Wax, is obtained from the leaves of the Brazilian tropical palm tree, Copernicia cerifera. Carnauba Wax is the hardest of the commercial vegetable waxes. It is a tough, amorphous, lustrous wax that can vary in color from dirty yellow to brown, green or white.